Peter got his start as a movie star. Thank You to Our Holiday Party Donors! Rescues get lots of E-mails like this one I received about Snow. 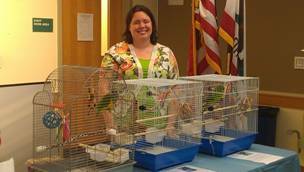 Aron was like many bird owners who loved having birds while growing up (parakeets, in fact). 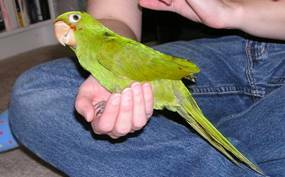 She now had one cockatiel, Charlie, which she had purchased from a breeder when the bird was only 2 months old. With the upcoming birth of her child Aron was concerned that she would not be able to give the time that Charlie had grown accustomed to. 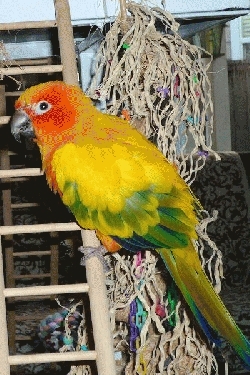 Want to help Mickaboo financially – and lacking the ready cash to do so? 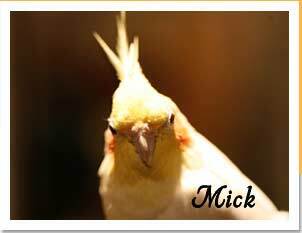 Some corporate partners donate a portion of their profits with Mickaboo if our supporters use certain programs. Read on for details on these programs, and how you can join them. From the Streets of San Francisco - Peter!